HSL’s move into building construction represents the completion of the company’s evolution into a fully integrated construction company. 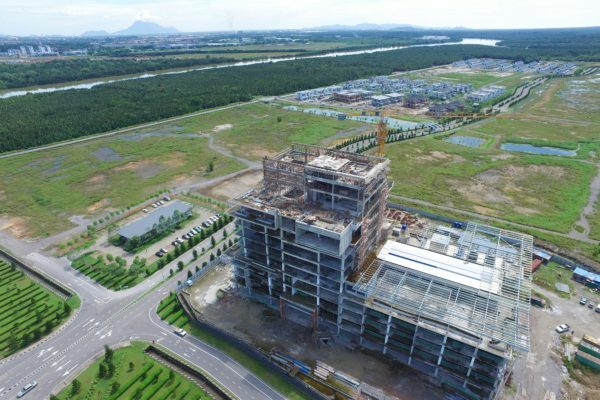 A shortage of housing and the pace of industrialisation in Sarawak have led to rapid growth in the construction industry, paving the way for the company to showcase its efforts in constructing modern, iconic buildings that resonate with the spirit of Sarawakian culture. HSL’s first housing estate project in Kuching was completed in 1983. In recent years, the company has forged onwards, completing university campuses and a world-class aquatic centre named after Sarawak’s diving prodigy and Olympic medallist Pandelela Rinong.